I might have been planning a relaxing Easter weekend, but I couldn’t resist a visit to Megasaki City and Trash Island. Don’t recognise either of those destinations from Lonely Planet’s Best in Travel 2018?! That’s because, uh, neither of those places actually exist. 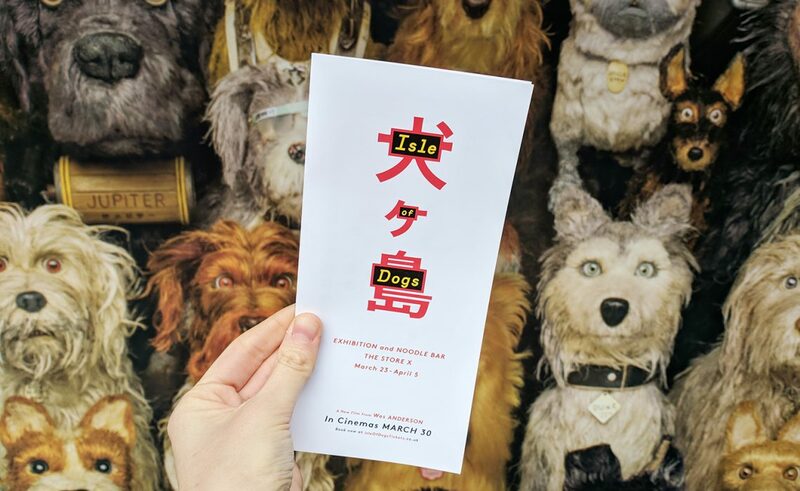 They’re actually made-up places that feature in the new Wes Anderson stop-animation movie Isle of Dogs (if you haven’t seen it yet, do it! ), all about a land that exiles all dogs out of the city to a garbage dump called – you guessed it – Trash Island. 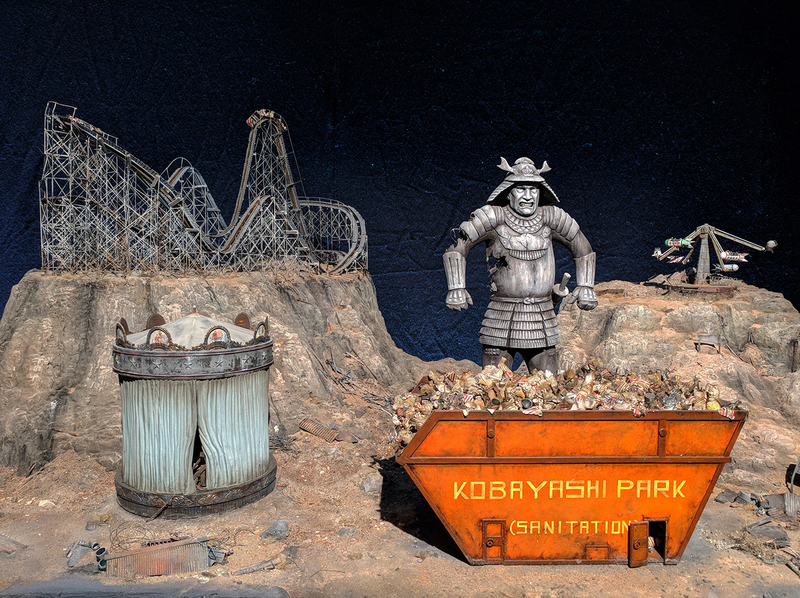 The movie is the subject of a brand new temporary exhibition that’s currently on in London. 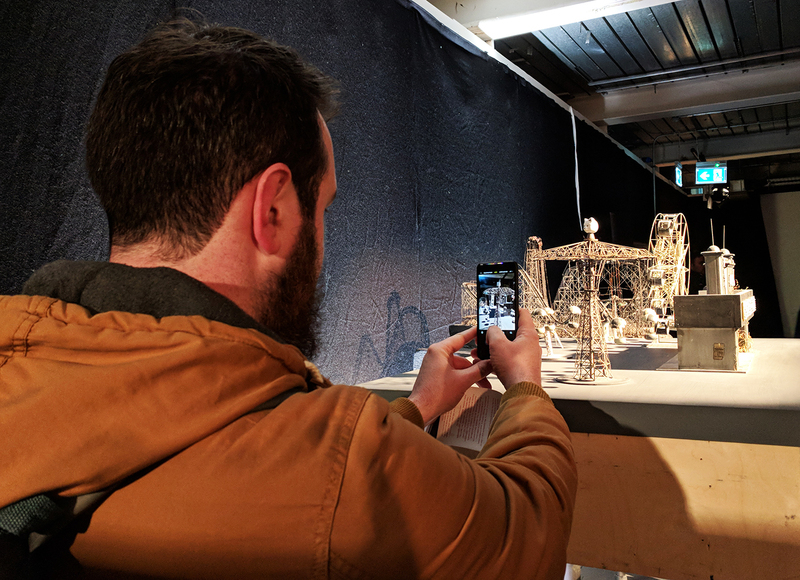 Situated on The Strand (near Temple tube station), the free exhibition showcases 17 sets that were used in the movie. 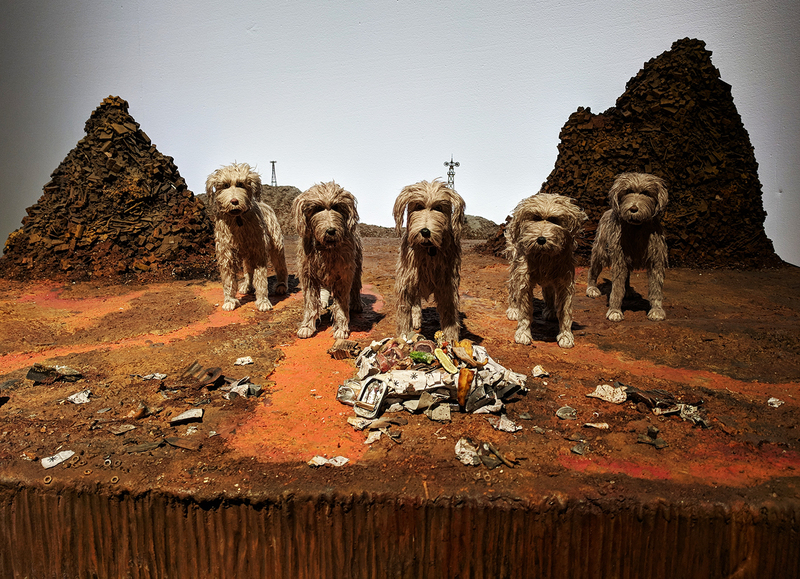 I thought I’d missed my chance to visit the exhibition and was absolutely gutted. 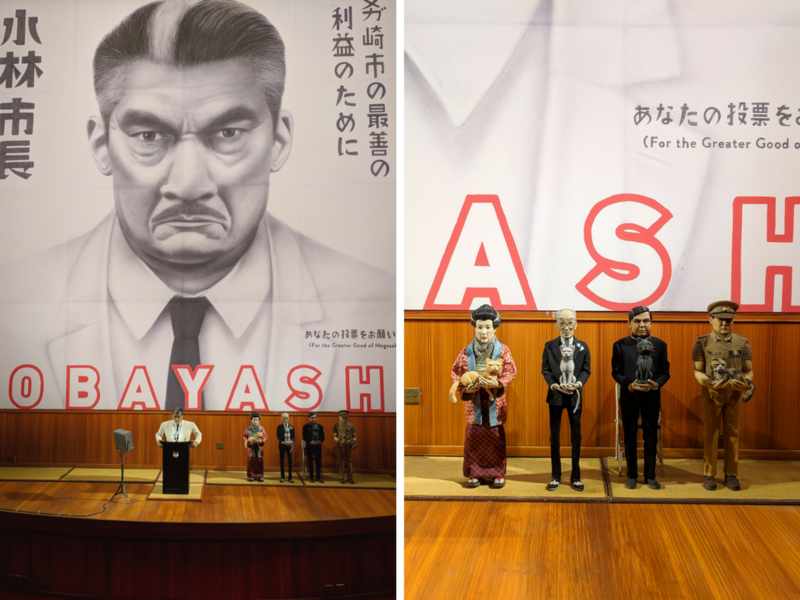 But then I heard that it was extended due to popular demand, and my boyfriend and I didn’t hang around… Here’s what to expect if you get the chance to visit the exhibition! Before I go any further, I should definitely tell you that this exhibition is only on until the 8th April, so be quick if you want to visit! Ian and I headed to the exhibition space (at The Store X on The Strand) for the opening time at 11am and were shocked to see a huge crowd hanging around outside waiting to go in. I would have thought the late closing time of the exhibition would have spread the crowds out a bit more during the day – on Thursdays and Fridays it’s open until 10pm; all other days it’s 7pm – but that was just one of many surprises that morning! And then it was time to head in! 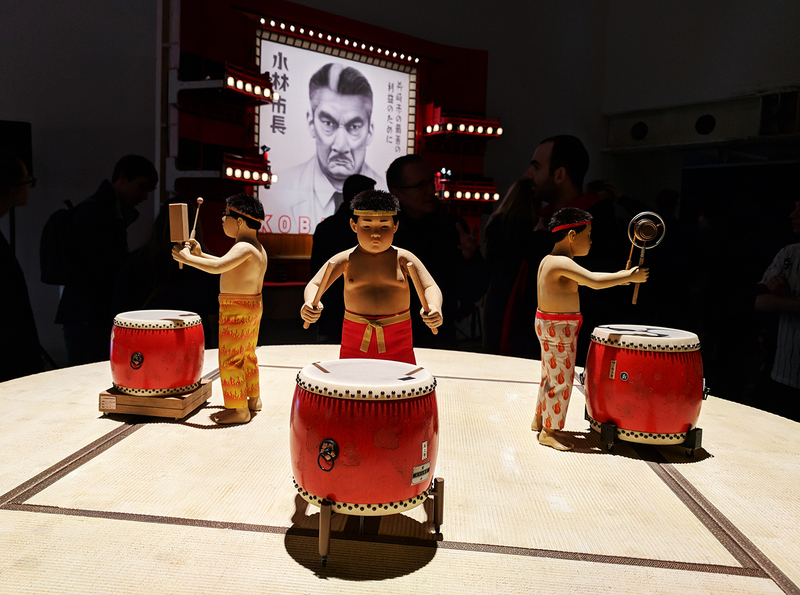 The first stop was a white room decorated with various Japanese-inspired artwork, before we followed our noses into the first section of the exhibition where the noodle bar was setting up for the day. 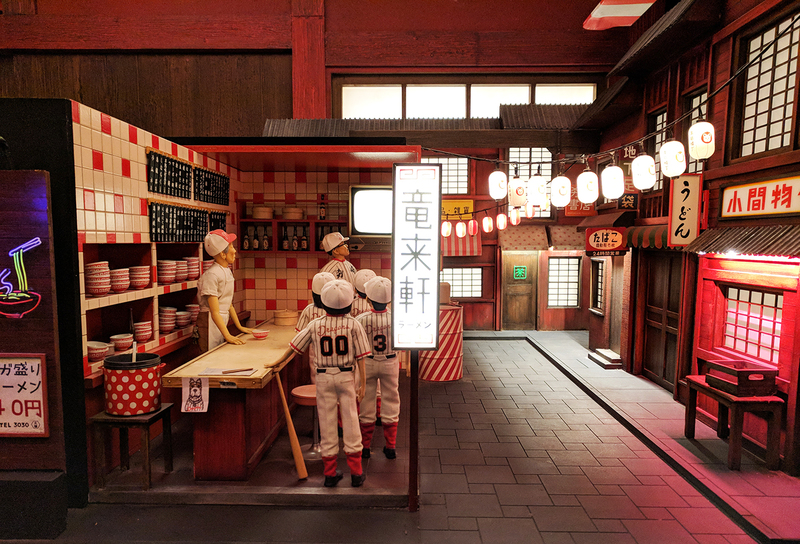 The first stop of the exhibition is actually the pop-up restaurant, designed exactly like the ramen bar that features in the movie – down to every last tile and bowl. One thing I would recommend is to get there after midday, as that’s when it actually opens. 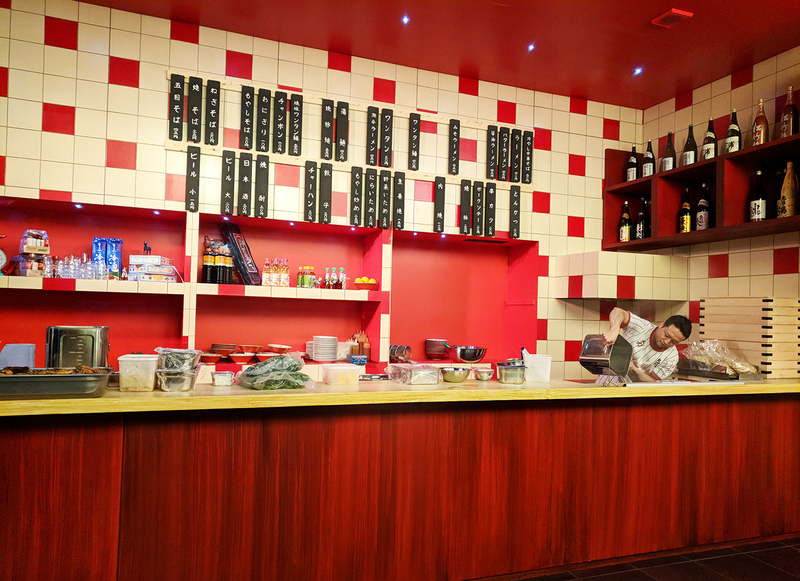 We got there a bit too early and didn’t want to wait around for it to open, but there were vegetarian and meat ramen options available for £10 a meal. And there’s actually a makeshift Japanese village (see above!) 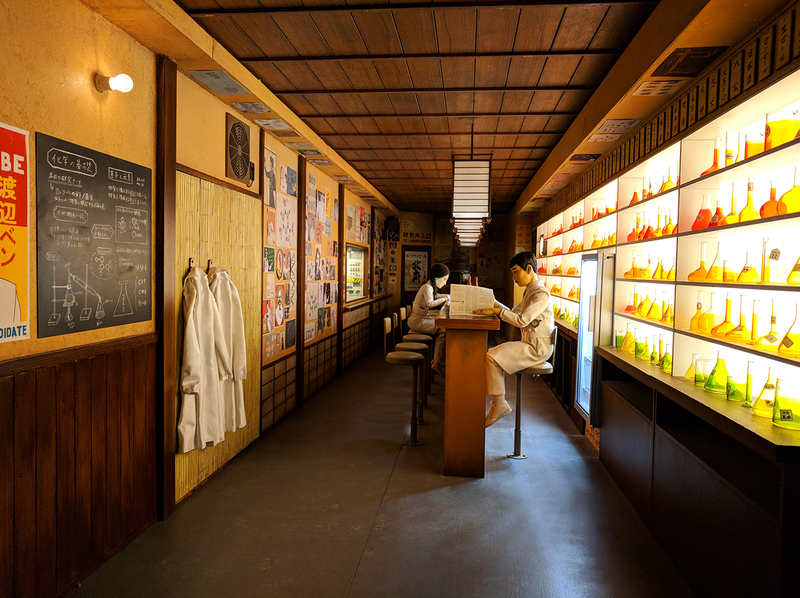 where you can take a seat on a bench to devour your ramen. It was a pretty convincing set-up, I’ve got to say! 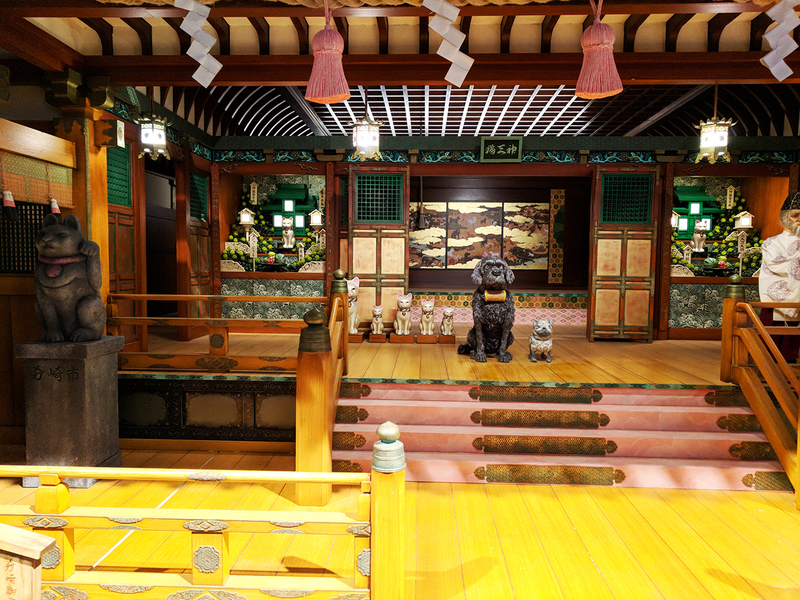 Walking on from the ramen bar area brings you to a large exhibition room filled with the majority of the 17 sets. 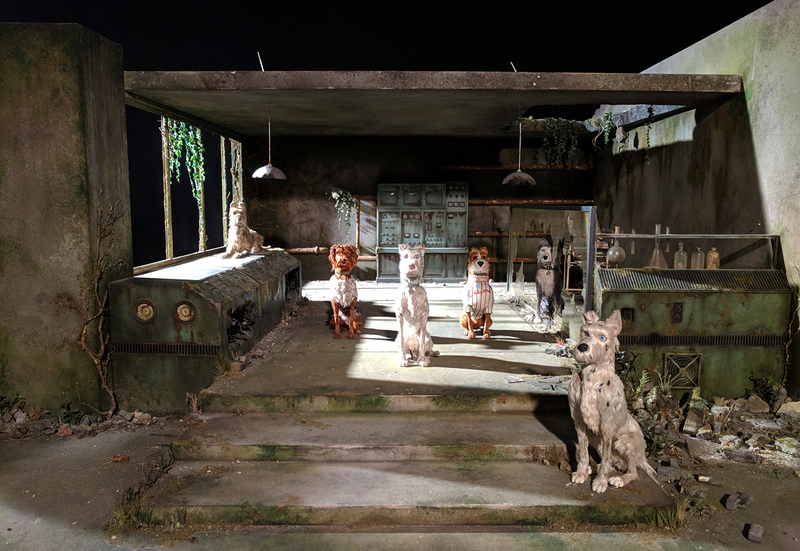 Even though I visited the exhibition before I saw the film, I was still able to appreciate the sets for the intricate artwork that they are, and got stupidly excited when I saw just how detailed and real they looked! 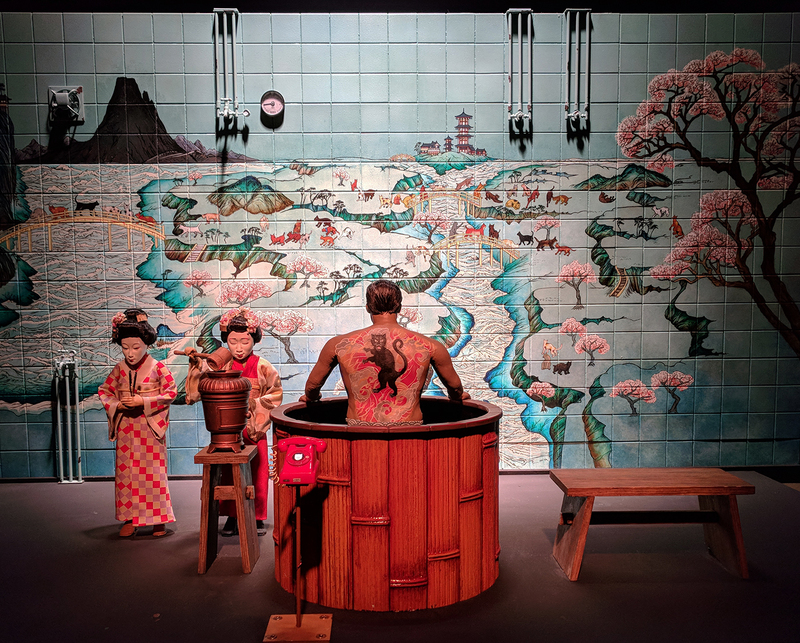 To make sure that everyone can see the sets, everyone has to stand behind white lines painted onto the floor, but you can lean in all you like to take in all the detail– as long as you’re not touching the sets, of course. 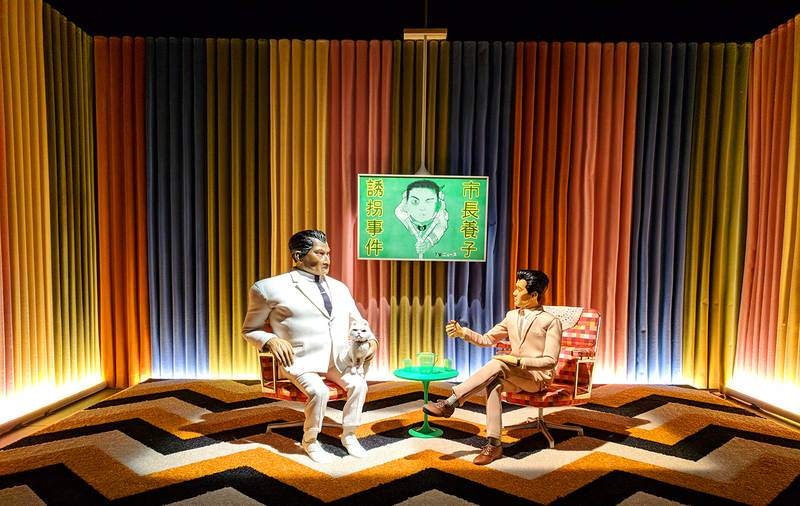 One of my absolute favourites (which I’d quite like in my front room, if I had the space and the money to commission someone to create it for me, please, thank you…) was the set of Megasaki City. 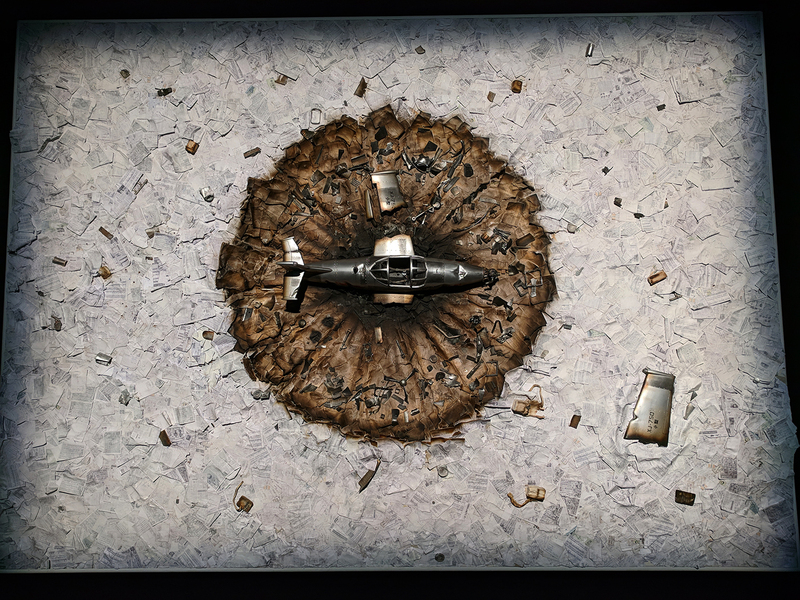 It’s the first one that you see as you walk into the exhibition, and it just blew my mind at how detailed it was. I could just imagine 5-year-old me playing with it like it’s some kind of massive Polly Pocket, steering bikes over the bridge and walking all my Barbies up and down the streets! Excuse the picture spam, but OH MY GOSH, every single set just blew my mind. 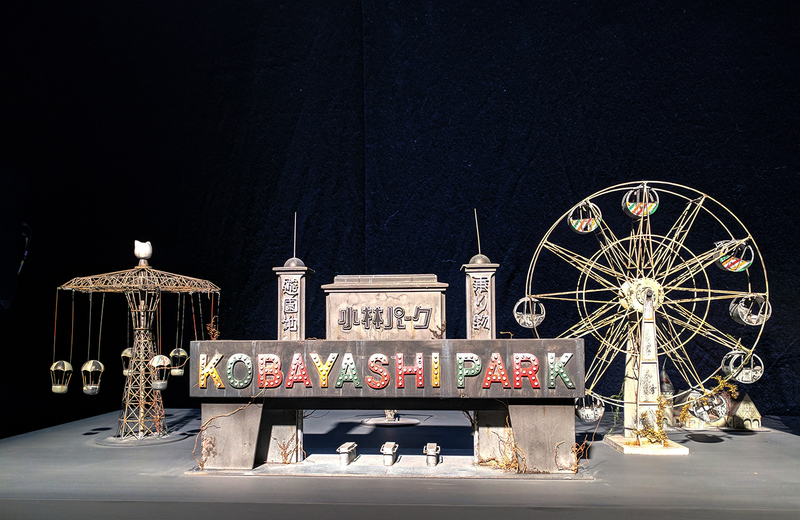 It was so cool to see the movie after the exhibition and to see the sets in action. It stitched everything together so well, and it definitely didn’t take anything away from the movie. I had to keep reminding myself that the sets were so small, as it’s easy to forget when you’re watching it on the big screen! After seeing the movie later that day, I realised that some of the sets were only on screen for less than a minute, which just goes to make them even more incredible! 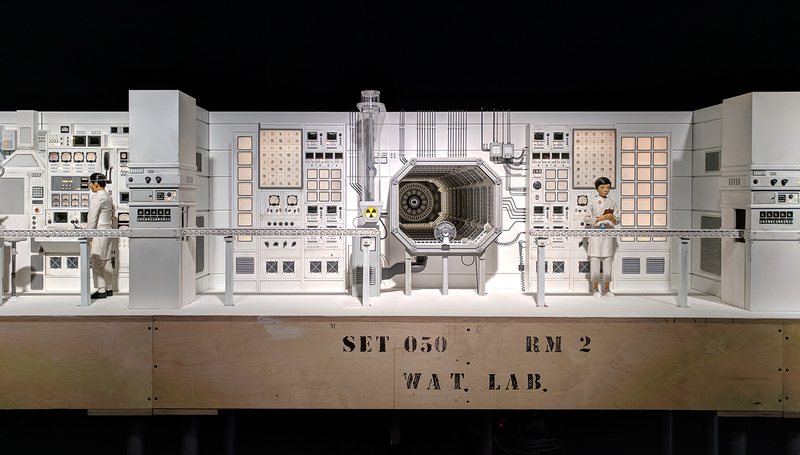 I have a new-found appreciation for the designers behind stop-motion motion – imagine all the hours that go into researching, designing and creating every single one of the sets! 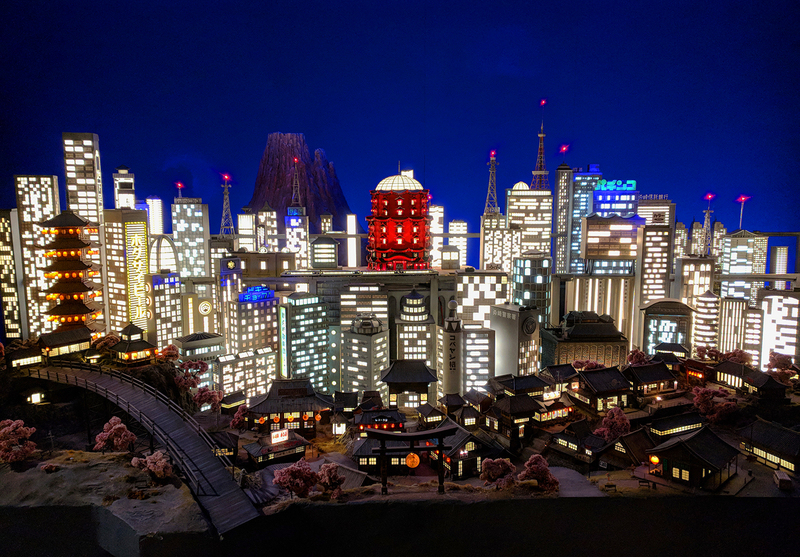 It would have been cool to have seen some footage of the sets in use, but for a free exhibition you really can’t complain. If you’re in London before the exhibition closes on the 8th April, I’d definitely recommend you popping in to have a look. We were only in there for 40 minutes or so, but it’s one of those things you could easily spend 10 minutes or 2 hours in! 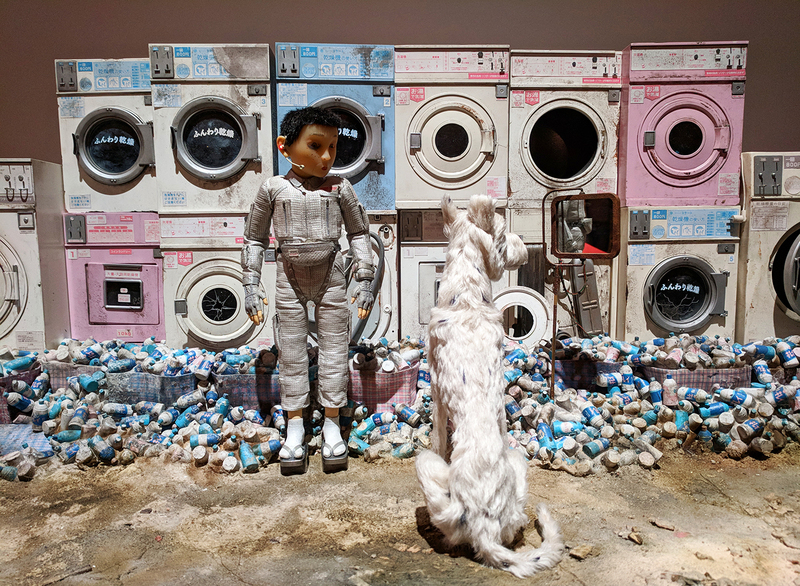 Were you able to catch the Isle of Dogs exhibition? Or how about the movie? I’d love to hear your thoughts on it! Ummm this looks amazing! Will try and go there tomorrow during my day off and hope that everyone is back at work!